If you are in Cannes outside the Cannes festival in May, you might wonder what all the fuss is about. Cannes, the capital of cinema? Apart from Palme-related symbols all over the town, where is the movie action? To be honest, there is not all that much. Remember also that during the festival, the three main cinemas in Cannes itself are used for screenings and (occasionally) premieres. If you want to catch a movie in Cannes, here is where you can start. 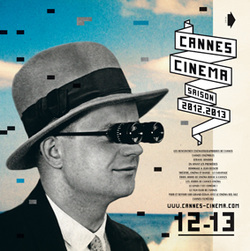 Cannes Cinema: this association runs regular themed screenings and special events with guest speakers or workshops. There is something happening almost every week. Find the info on Cannes Cinema (in French). The films are often shown in one of the many screening rooms in Cannes hotels such as the Miramar on the Croisette. Open-air screenings: during the summer months, Cannes and Cannes La Bocca host regular open-air screenings of popular recent films under the banner of Ciné Quartier. When the weather is nice (which is often), this is a great way to catch some movies. However, it's important to get there on time, as seats are limited and most of the screenings are in French. it can also get chilly later, so bring a jacket or jumper just in case. Note that during the festival, there are also open-air screenings on the beach beside the Palais. The programme is ambitious, featuring classics from Cannes festival and less mainstream movies.